← Let’s All Have A Body Revolution! Tonight is the first installment of horror movie Friday! When we attempt to play programmer and show you only the scariest of horror movies. 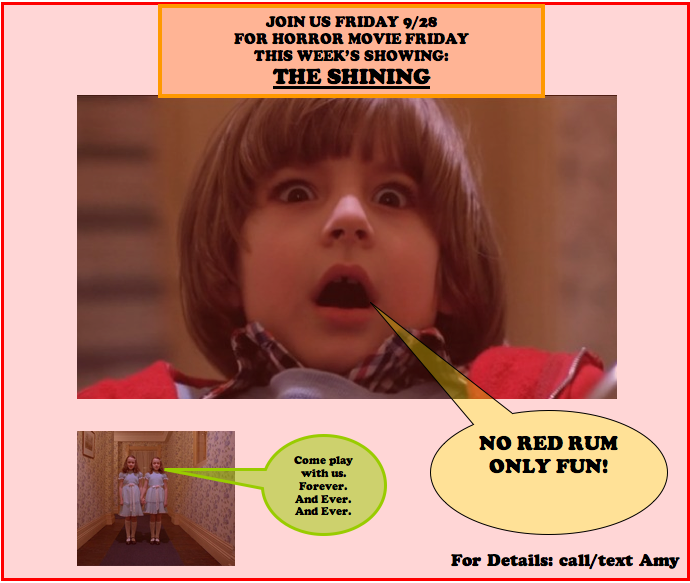 This week, one of my favorites and a Kubrick classic, The Shining! Shelley Duvall’s wardrobe is worth peeping between your fingers, folks because she is giving you log-cabin chic. For details and directions, you know who to call because it says it on the flyer. Hope to see you there! 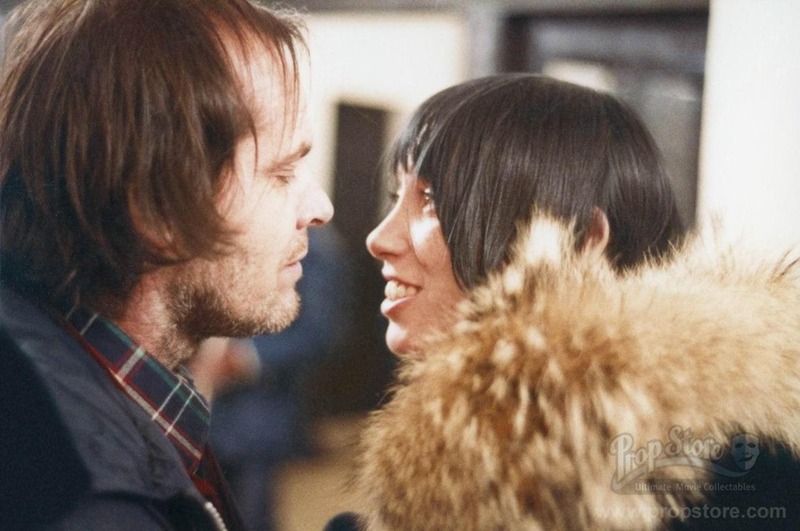 This entry was posted in Uncategorized and tagged Horror Movie Fridays., Shelley Duvall, The Shining. Bookmark the permalink.